Vaishnavi Dhawan is a B.S./M.S. student in the Department of Bioengineering at UW. She works in Dr. Daniel Ratner’s laboratory to engineer methods for characterization of ABO blood type carbohydrate antigens relevant to transfusion medicine. Outside of lab, she is a teaching assistant (TA) for multiple BioE courses, including BIOEN 337 and 415/515. 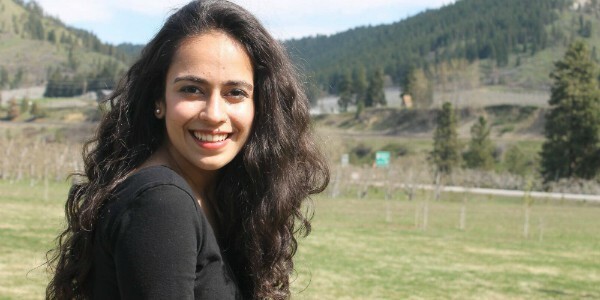 After graduation, she is planning to attend graduate school to pursue a Ph.D.
“I was born and raised in India and I moved to the United States at the age of 16. I spent the first two years adjusting to the new education system and the social culture. Growing up in India, I went to the same school for ten years and had the same group of friends. I was very well-rooted. So when I started at UW, I felt confused and uncertain because I was put into a new system without any solid foundation. I was always so sheltered and then all of a sudden, I was on my own. However, the challenge of figuring everything out and being completely out of my comfort zone really helped me grow as a person and become more independent. I got into the BioE program my sophomore year right before the first quarter of core started The cohort system can initially be tricky because it introduces a big social component to the major. If you figure out how you fit into this whole social piece early, it is conducive to learning and provides a solid support system. But until you figure that out, it can be isolating. It’s easy to look around, compare yourself to others and believe that everyone has it figured out. I often felt out of place and doubted my path as a bioengineer. That all changed fall quarter junior year. One night, we were all camped out in the Advanced Computer Lab (ACL) struggling together with the U-tube homework assignment for BIOEN 327. That’s when I realized that everyone was trying to figure it out. It wasn’t just me, it was now a shared experience. I felt a renewed sense of community, which helped me reach out and connect to my peers on a deeper level. Ever since that point, I feel I have been on a more positive trajectory. I find myself being more open to sharing my experiences and being vulnerable with my peers. I’ve started to trust the path I’m on and feel more connected to my purpose of helping people through my research.